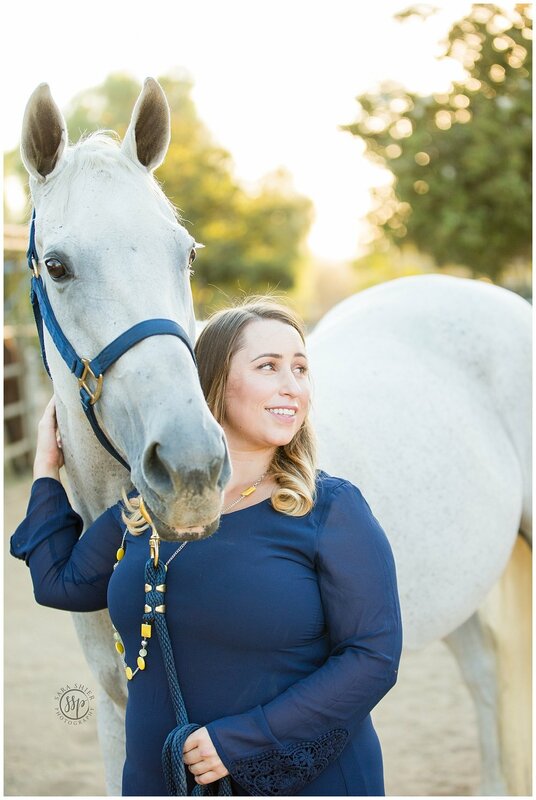 Took a trip back to Horsetown USA to photograph some of my favorites Lindsay + Star! I did Star’s black backgrounds last year for Lindsay’s holiday cards and I FINALLY convinced her that she needed to be in the photos too this year! Star is very sweet, but is definitely your typical high energetic TB mare. She is so sweet that she actually doesn’t understand why other horses could be so mean to her! She’s the first to nicker toward a new face at the barn and ESPECIALLY to whoever has treats or hay! Lindsay cracks me up when she says she loves Sky’s curly tail, kind eye, and loose bottom lip. The cool thing about greys is they look great with any color wardrobe, but they definitely POP with royal colors! 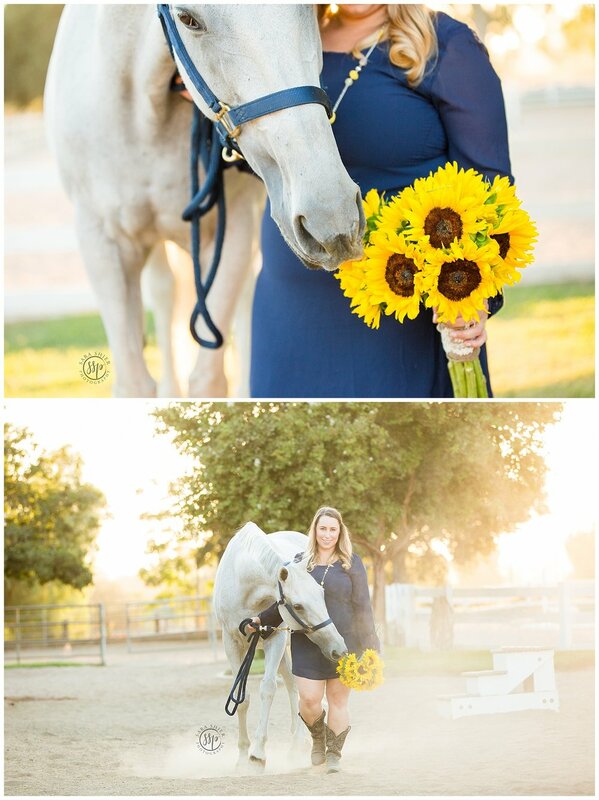 That’s why I loved that Lindsay chose a royal blue dress for her session and how cute were the yellow flowers she found before her session? Sky did try to eat them most of the time, but thats definitely her personality! 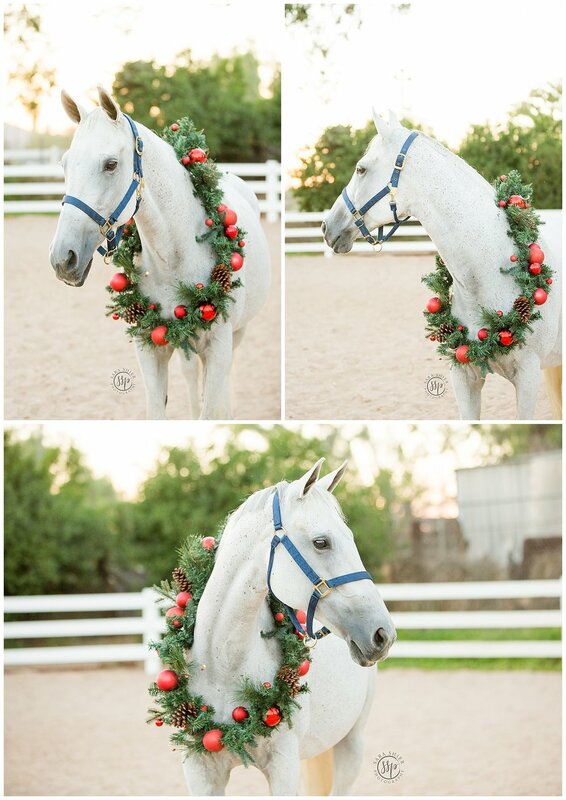 It may have been September but we obviously needed to have some Christmas decor for this session since they are going to be for their holiday cards! CHRISTMAS IS JUST MY FAVORITE!